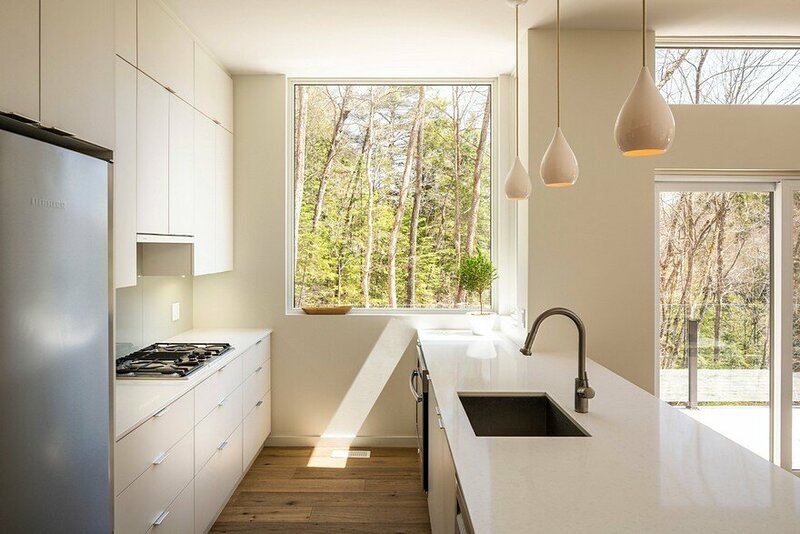 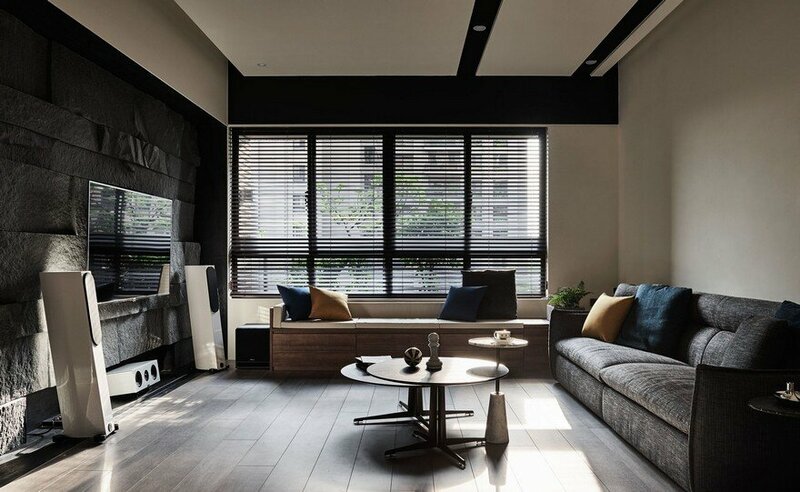 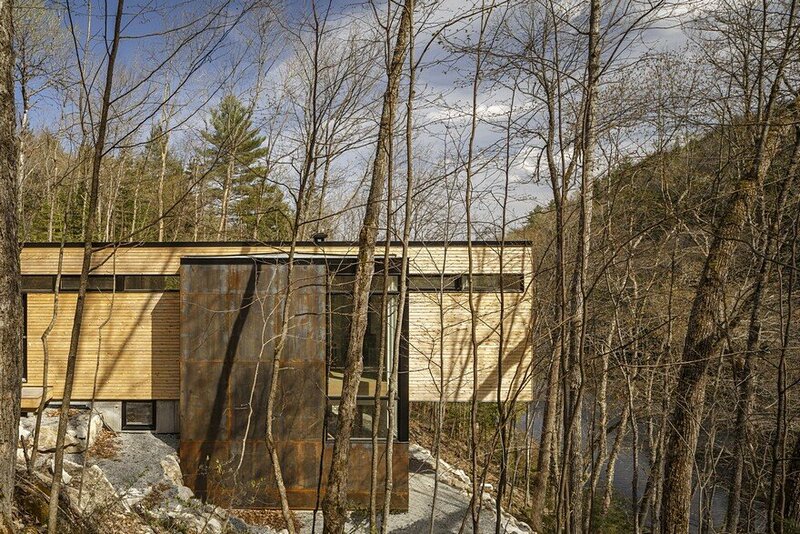 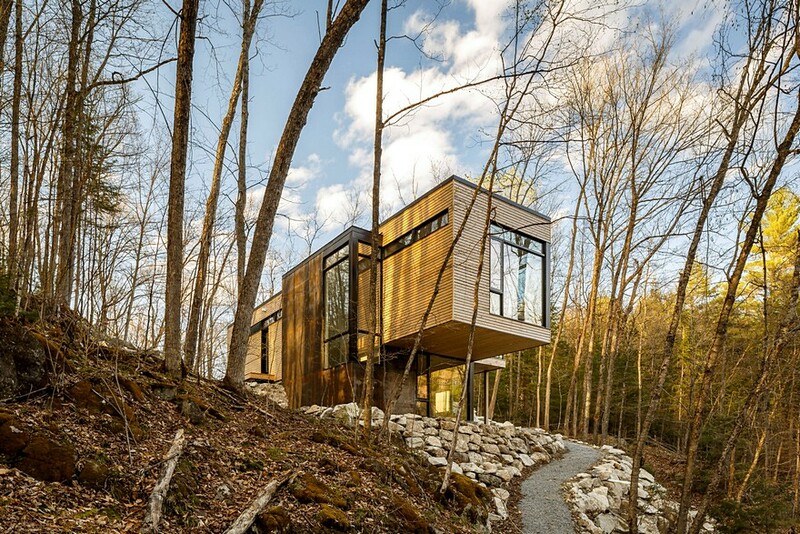 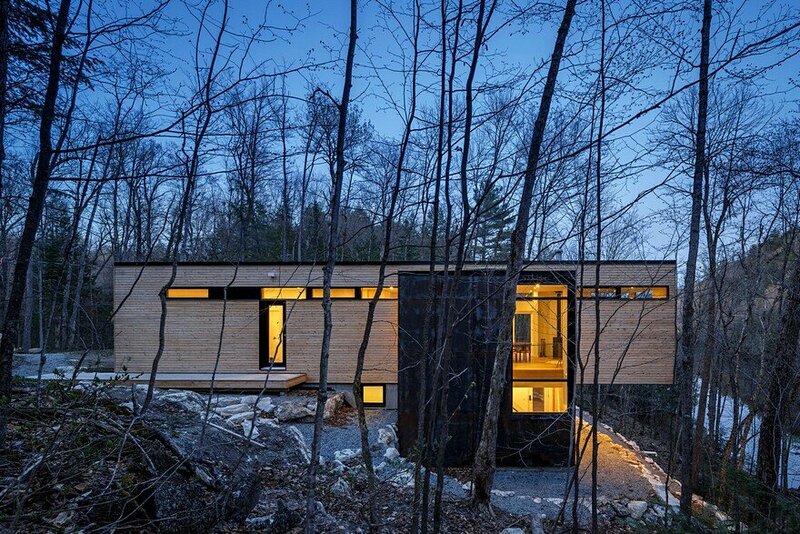 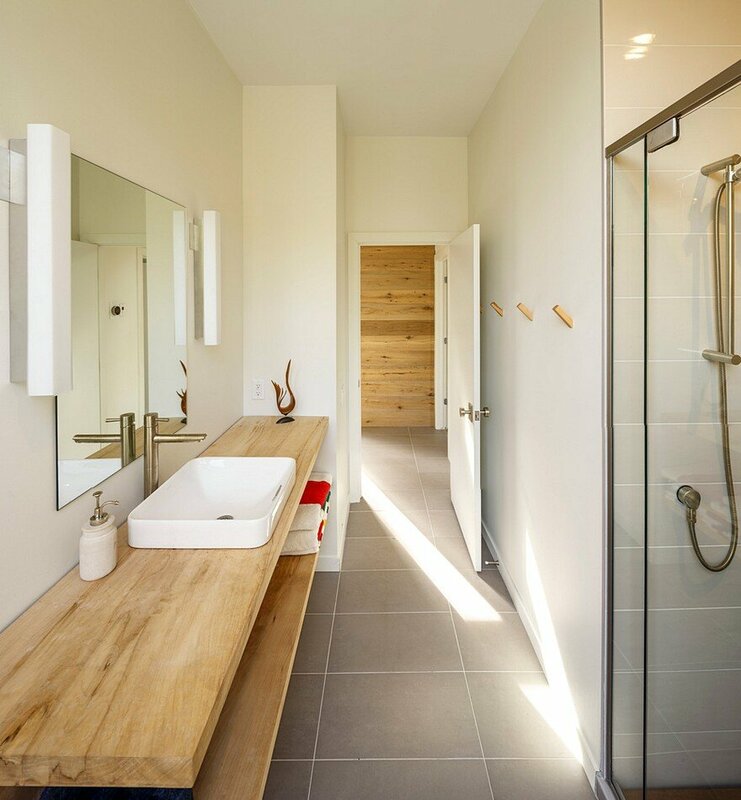 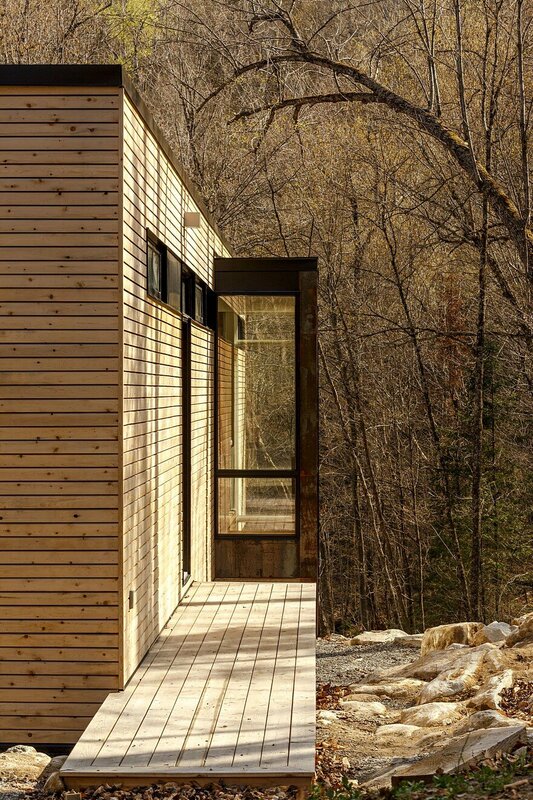 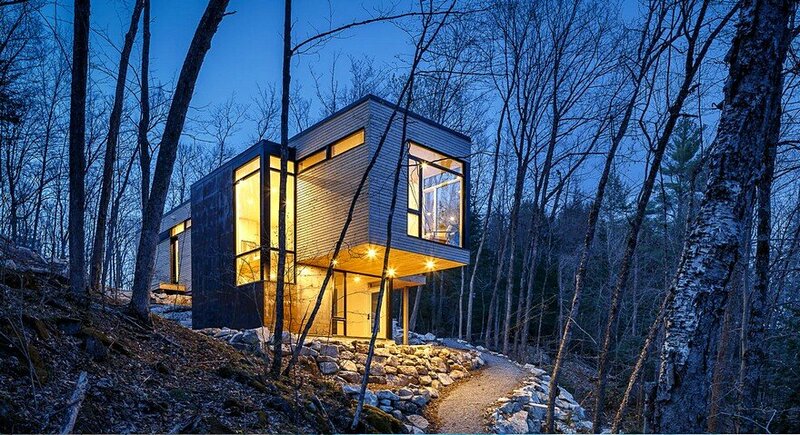 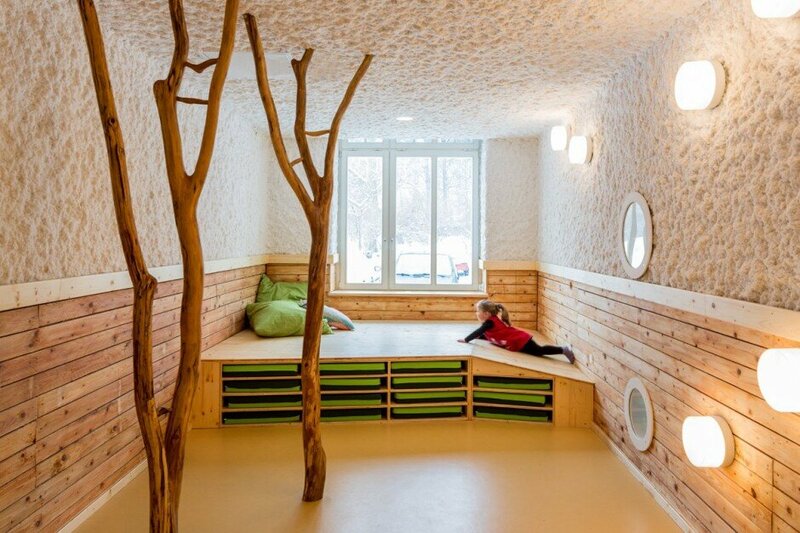 Val Des Monts Retreat is a tranquil forest retreat designed by Christopher Simmonds Architect, an architectural studio based in Ottawa, Ontario, Canada. 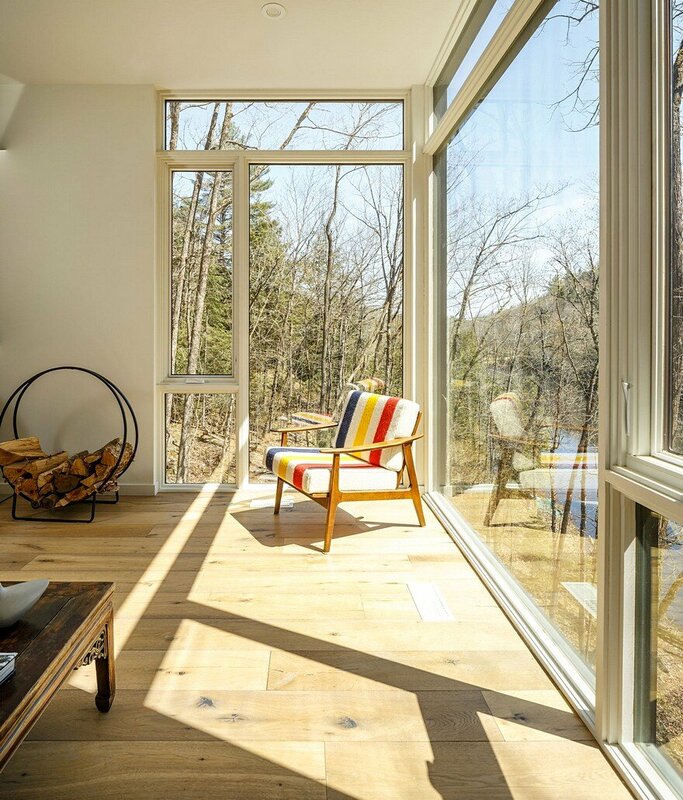 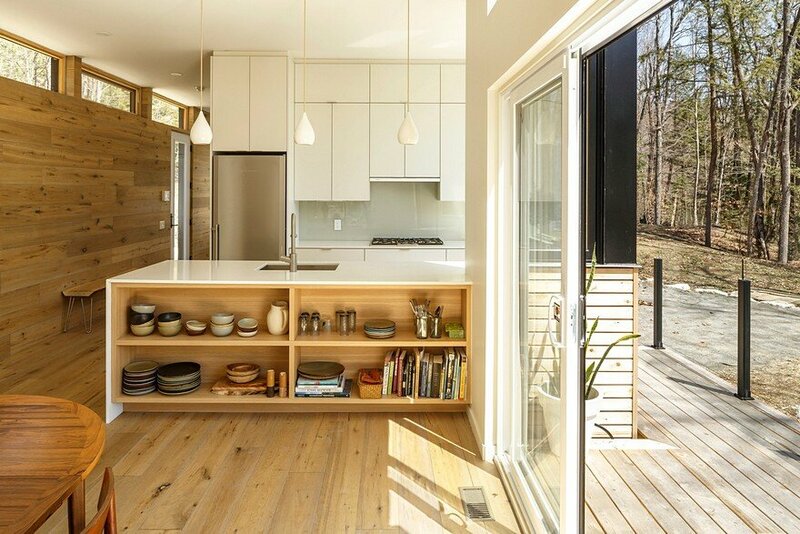 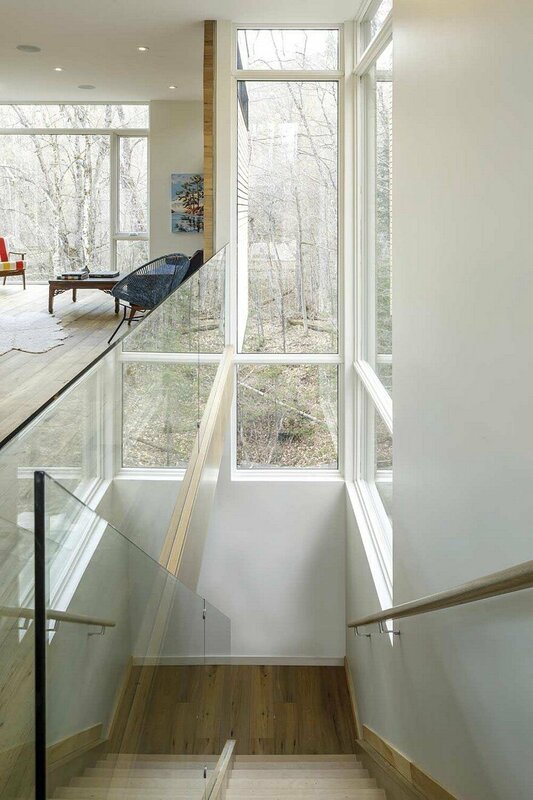 From the architect: A family cottage in the Gatineau hills infused with Canadiana shifts its way over the edge of a cliff to command views of the adjacent lake. 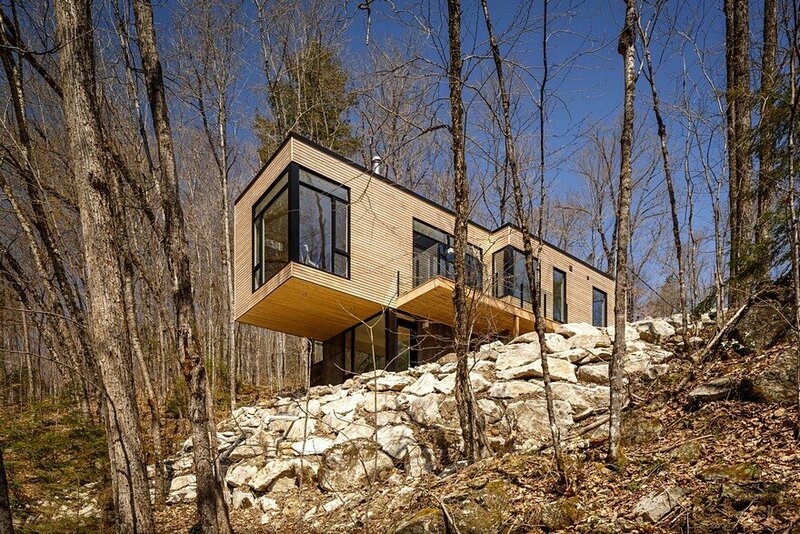 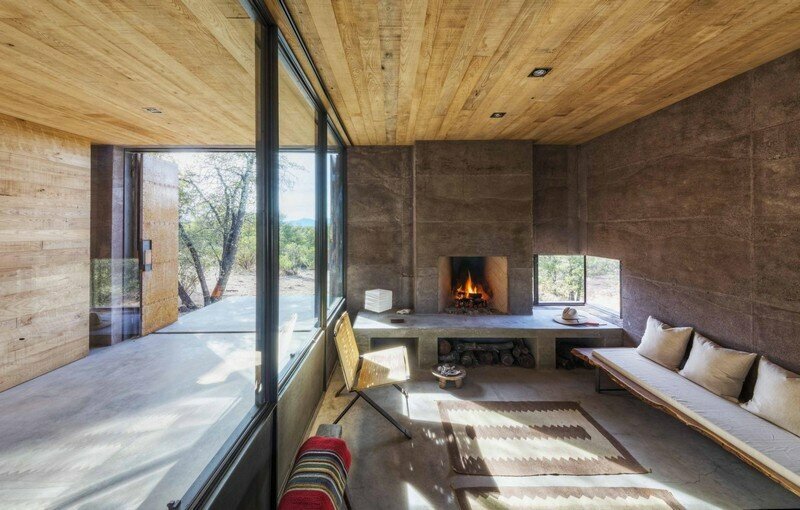 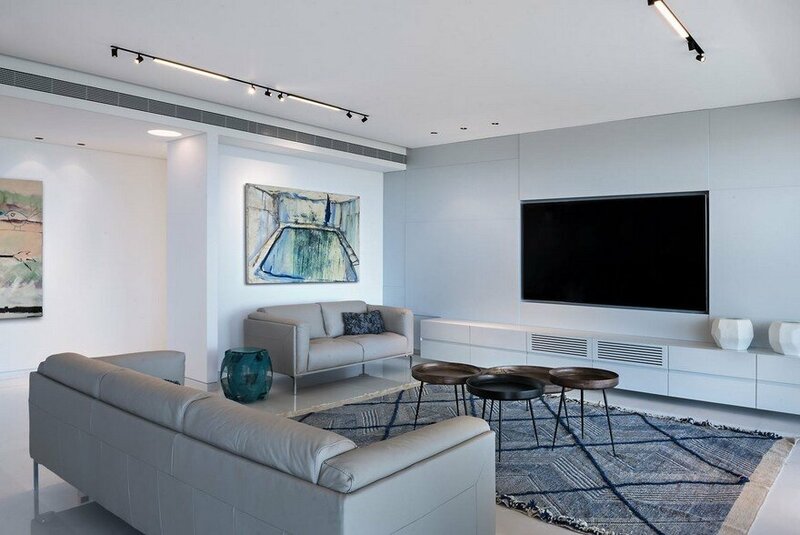 The retreat is gently embedded in the Canadian Shield; the sleeping quarters firmly set in the rock while the cantilevered family room dramatically emerges from this stone base. 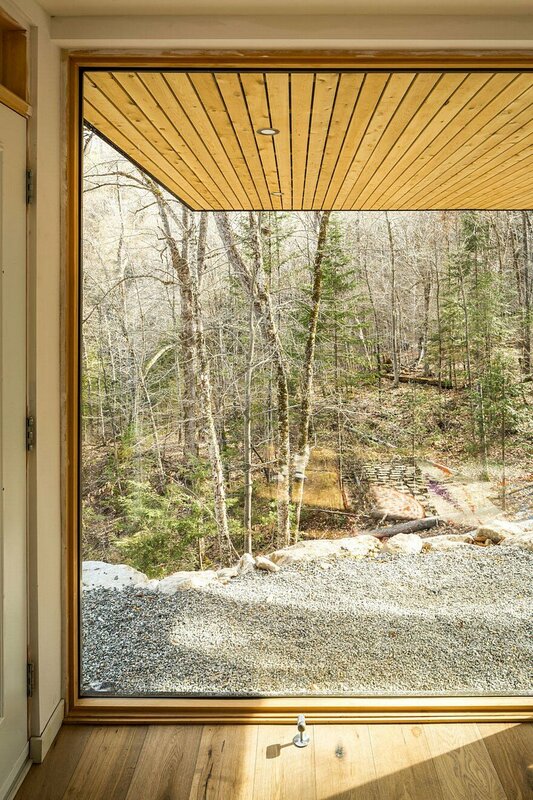 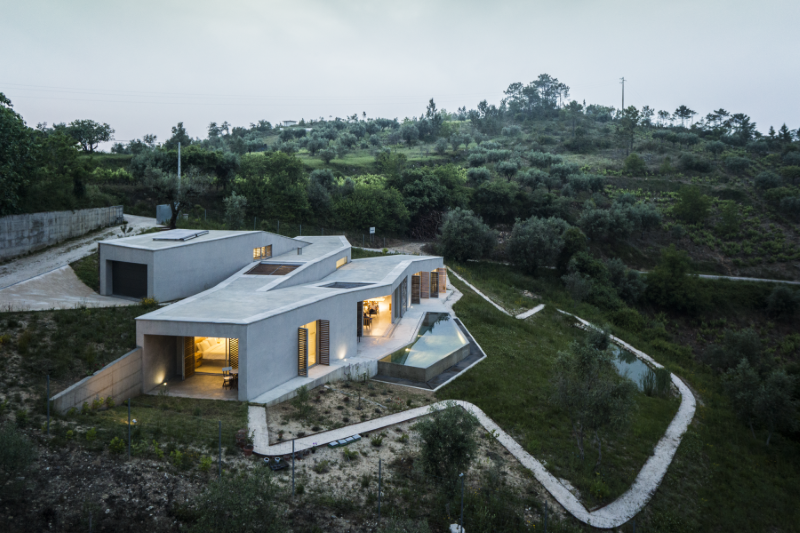 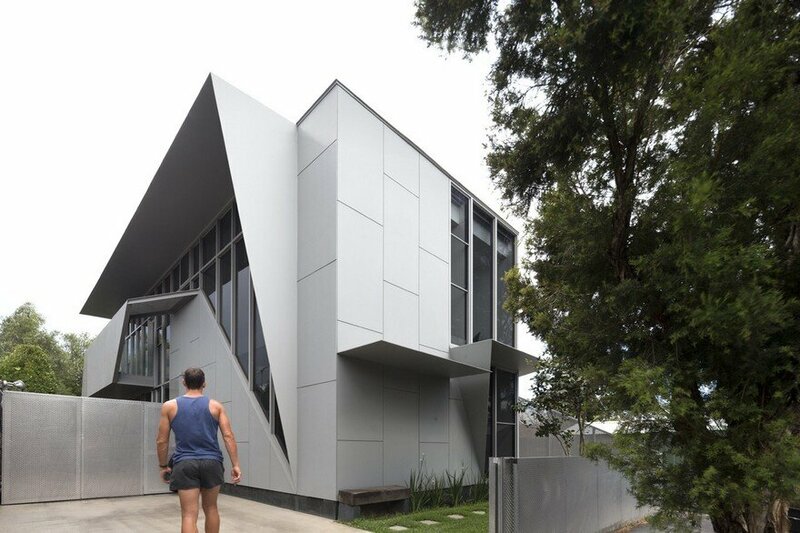 The modest entry visible from the road leads to an orchestrated, tranquil path entering from the forest-side of the house and moving through the space as it opens up onto the lakeside.